I've had the urge to do a bit of a project - to play a bit of history! I want to play a bunch of first person shooters from old to new to get a feel for how the genre "grew up". I came into the genre around the COD2 era and therefore I've never properly played Doom and Quake; I'm looking to correct this oversight and find out where the "modern" FPS came from. I'll be reviewing them (to everyone's overwhelming indifference I'm sure!) to see whether they a) still hold up and b) has the genre evolved since the last game (or not). The vogons-y catch is I want to do it on one PC without DOSBox! So first of all, a games list. I should say I am not looking to play every first person shooter, I do have a day job. 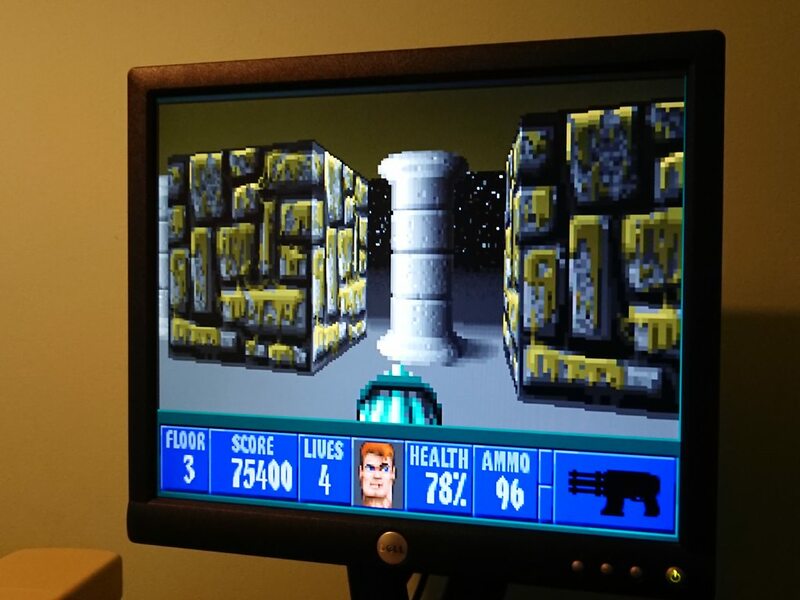 For instance, I'll be playing Wolfenstein 3D but not Spear of Destiny. Here is my list, in chronological order. Please add suggestions or correct the order! I originally was going to leave it at RCW and play using one of these two machines I have. Call of Duty 1 to 2 (and any intermediary games) would require a whole new league of PC so sort of ruin the plan, but would take me right to where I started 12 years ago (which was sort of the whole point)I am a bit tempted to get a P4 PC with that MX440 (i'm not spending £lol on a good AGP card) and put W98 on that. So anyway, before I embark on this pointless endeavour, does anyone have any game suggestions? Hardware suggestions? Coffee I can have? Is this a stupid idea and I should go back to taking arty pictures of hardware? Last edited by Almoststew1990 on 2019-4-07 @ 17:54, edited 8 times in total. Duke Nukem 3D came out before Quake, might want to fix that. I would add Rise of the Triad (1994), play that after Doom. It tried to do a few things different. Another one you could consider is Jedi Knight (September 1997), it played a bit different than your typical doom/quake game. Maybe put Halo: Combat Evolved in there just before Call of Duty. I wouldn't bother with Unreal Tournament, its very similar to Quake III. There are also others you could consider if you wanted to experience more variety of the genre like Outlaws (1997, western setting), Rainbow Six (1998, tactical shooter), Alien vs Predator (1999, 3 very different ways of playing the game that are quite different from your typical shooter), Deus Ex (2000, stealth, problem solving). Also, Half-life 2 (2004) is a great game. I'll add RotT, Jedi Knight, Outlaws and AVP on there. I know I won't be able to finish R6 and probably Deus Ex although they might make a nice change when I'm no doubt drained on fast fps action and this could be the time I actually finish them! I'm planning on playing something like Cities Skylines at the same time as doing this to provide a bit of contrast. Do you have played Serious Sam? It's very funny. Postal 2 is insane, and very different to others. Toshiba Satellite Pro 4600, Windows 98 SE. 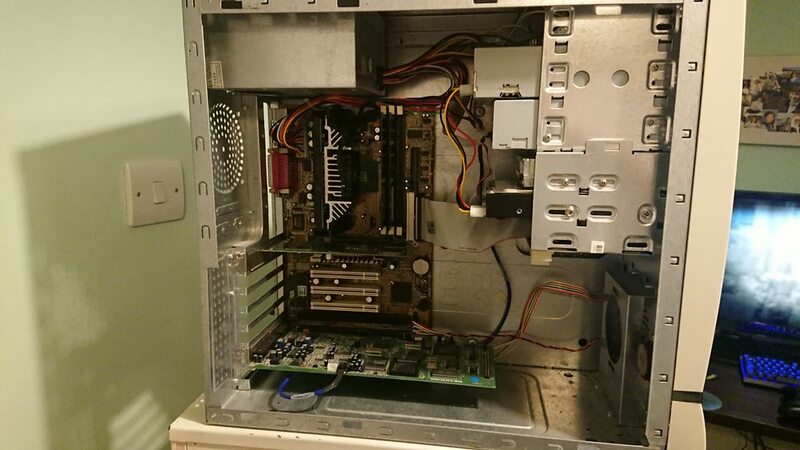 Pentium 4 'PressHot', Windows XP. Xeon E5440 & Nvidia GTX 280, Windows XP x64 & Windows 7. Come to mind... I'm sure there are loads more. The original Star Wars: Dark Forces should really be on there as well. 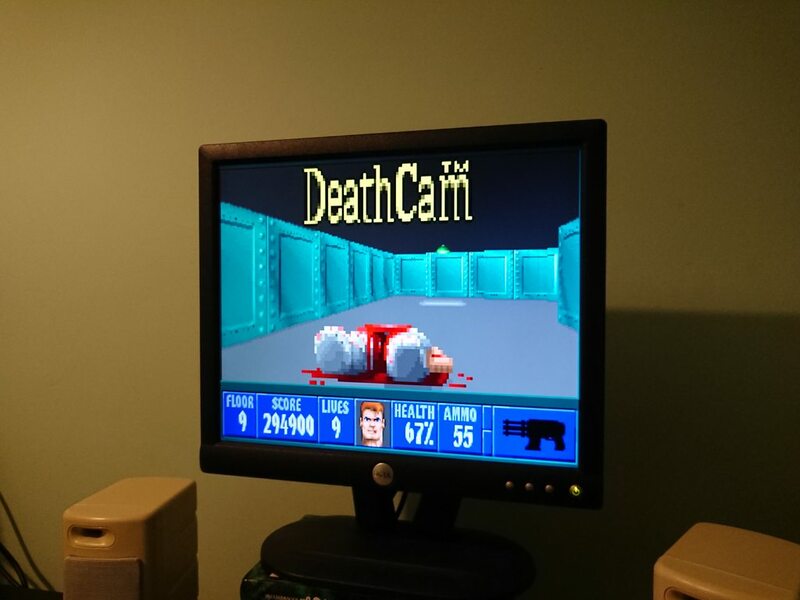 When it came out in 1995, it was one of the few FPS games that was generally considered to actually be better than Doom. And System Shock from 1994 might be worth adding as well, but some people would argue that it's more RPG focused than FPS focused, but it does play like a first person shooter. EDIT: Oh, and I disagree with a previous poster who says that Unreal Tournament is very much like Quake III. They are "similar", but where Quake III is very high paced deathmatch oriented, Unreal Tournament is at its best when playing team based game modes. The assault mode is still my favourite type of first person shooter game mode. Despite the fact that I suffer from severe motion sickness from FPS games, I still force myself to play a few Overlord bot-matches in Unreal Tournament from time to time. WinXP : PIII 1.4GHz, 512MB RAM, 73GB SCSI HDD, Matrox Parhelia, SB Audigy 2. 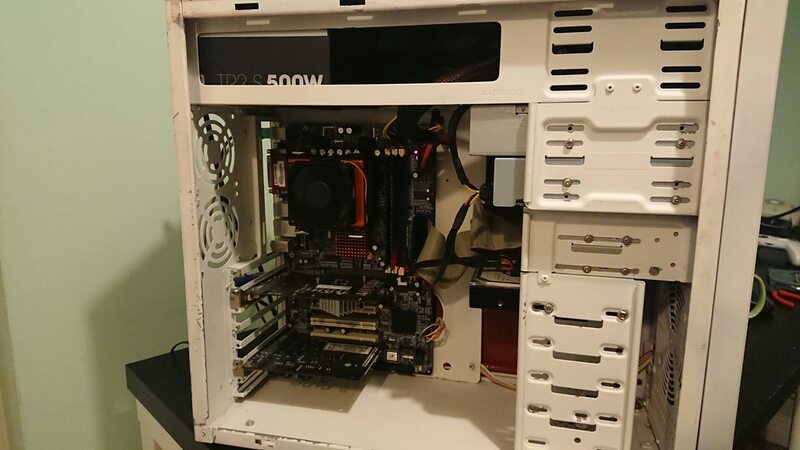 Win98se : K6-3+ 500MHz, 256MB RAM, 80GB HDD, Matrox Millennium G400 MAX, Voodoo 2, Waveforce 192XG. DOS6.22 : Intel DX4, 64MB RAM, 1.6GB HDD, ELSA Winner 1000PRO, GUS 1MB, SB16. what about Catacomb Abyss games? keropi wrote: what about Catacomb Abyss games? My thought exactly, this (and Catacomb 3-D) should be the starting point of this project as long as the title contains the word "history". Even though OP clearly stated that he does not intend to play every single game of the genre. This project has got to a slow start. I've had lots of problems putting together my P4 PC to run on Windows 98; I would get windows protection errors when I install the chipset drivers which I think was related to USB in particular. I've put together four or five PCs and done the same number of formats and Windows 98 installs over the last couple of days! Finally, by complete luck I came across a compatible driver and put it on a CD, resulting in no driver conflicts and a happy Windows 98. I'm not entirely sure this will be able to play COD2 but... it meets the specs when running in DX7 mode? I had also benched this whilst waiting for one of the many, many, many formats/installs. in 99 it scored 5,571 / 9,988 (although that was with the MX440). 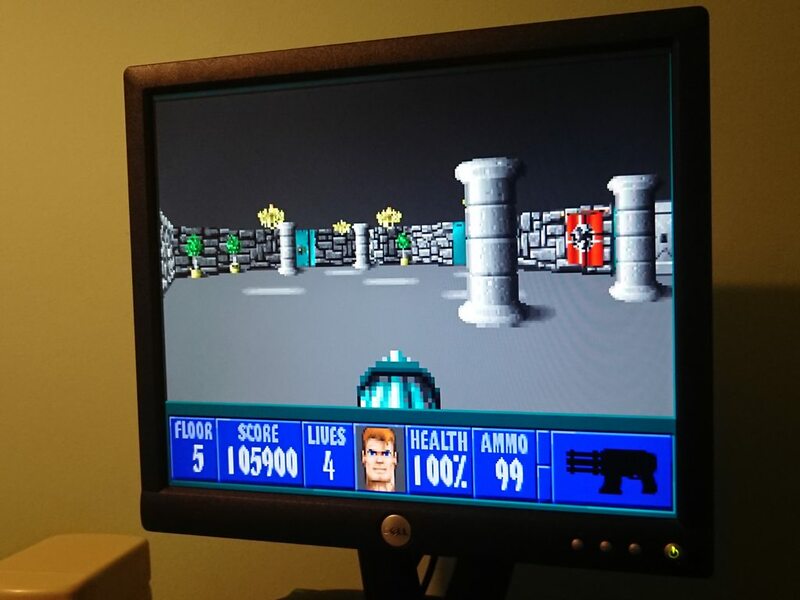 One last step is to persuade the generic USB mass storage device drivers to install without causing a Windows Protection Error conflict, and then I can crack on with the first game, Wolfenstein 3D ...oh. I see the comments above about Catacomb. 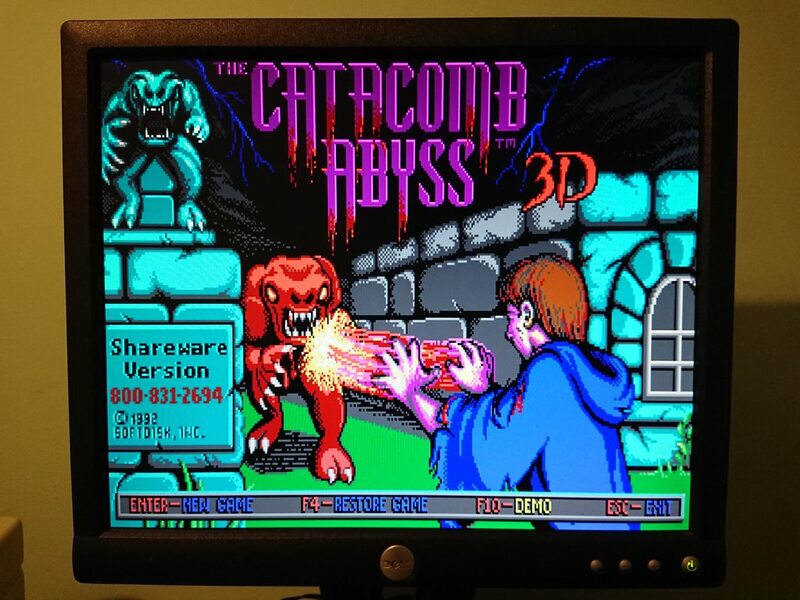 I have the shareware Catacomb Abyss, and it states it from the creator's of Wolf3d, so it sounds like Wolf3d came first? 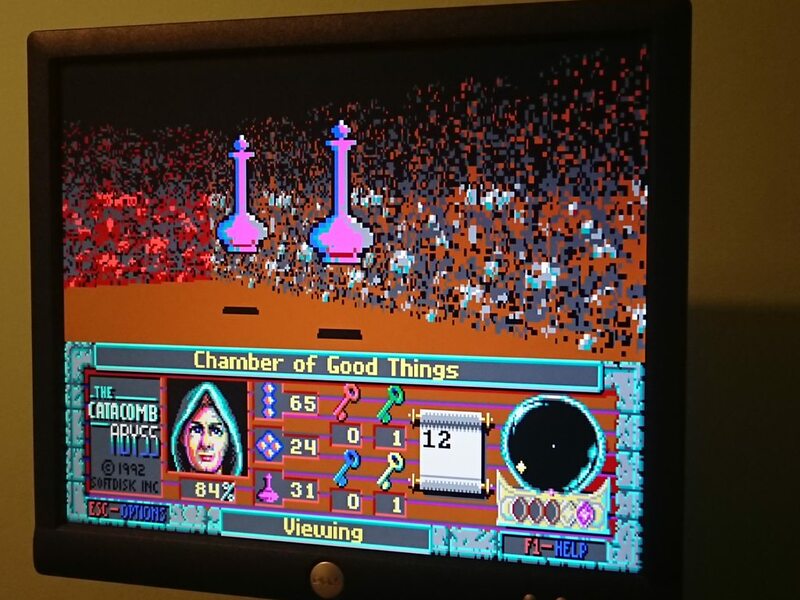 Its not quite a FPS in the strictest sense, but Ultima Underworld beat Wolf 3D to the market and had a much more sophisticated game engine to it. Many of the developers went one to create famous FPS franchises. NOLF came after Deus Ex and AVP came after Half-Life. Why not just start with Hovertank, then? Wolf3d is as good a starting point as any, imho. OP: You already have quite a few good ones. I would for sure include Thief 1 or 2. If you have time then maybe Soldier of Fortune and Marathon. And if you have more time and are bored, how about popular mods like Team Fortress or Counter Strike? Damn, it looks like I am not onto any games yet as I don't get any sound in DOS. Default.ecw is not in the location above. Its not in the Creative folder in Program Files either. If I run Descent sound setup and do autodetect, it does not detect a soundblaster 16. Windows shows the IRQ is 11 in resources tab for the card. I've turned off all serial, parallel and floppy controllers out of habit. Edit - so done some googling and the .Ecw is the sound fonts. Can I just bung some sound fonts in there from phils dos driver pack for sbl which happens to include some 8mb sound fonts and rename to default? I'll have to try when I'm home from work. 1) Terminator: Future Shock. A true 3D shooter that actually came out before Quake. Might as well install Terminator: Skynet as it sort of upgrades the original game, too. Definitely not the best FPS in the world, but it has its moments. 6) Also, Thief (very important for stealth mechanics in most modern games, including shooters) and Hitman: Codename 47 (since you're covering the early 00s too). Maybe even Project I.G.I. while we're at it. I've "installed" the .ecw files and now during boot up the sound card does not produce an error. I also get general midi sound and some sound effects. However, most DOS games give an error about an IRQ conflict. Windows doesn't think there is a conflict and wave sounds in Windows plays fine. I've even disabled all the USB ports to see if that helped (it didn't). I assume the holders don't actually cause a conflict as they're not actually using the IRQ... just holding it? jheronimus wrote: I'm playing DF2 right now and honestly I don't think it's a terribly important game. Well I've finished Game 1 game! 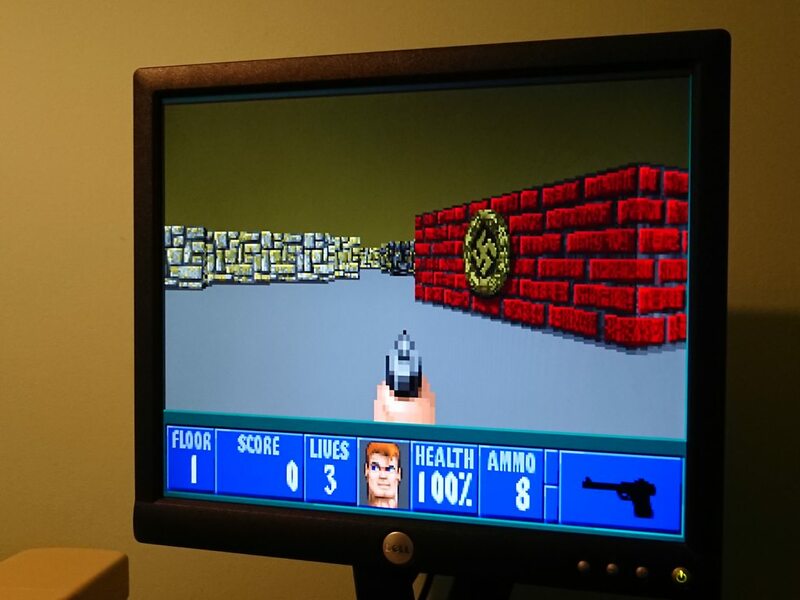 This was suggested as a very early FPS, ahead of Wolfenstein 3D. 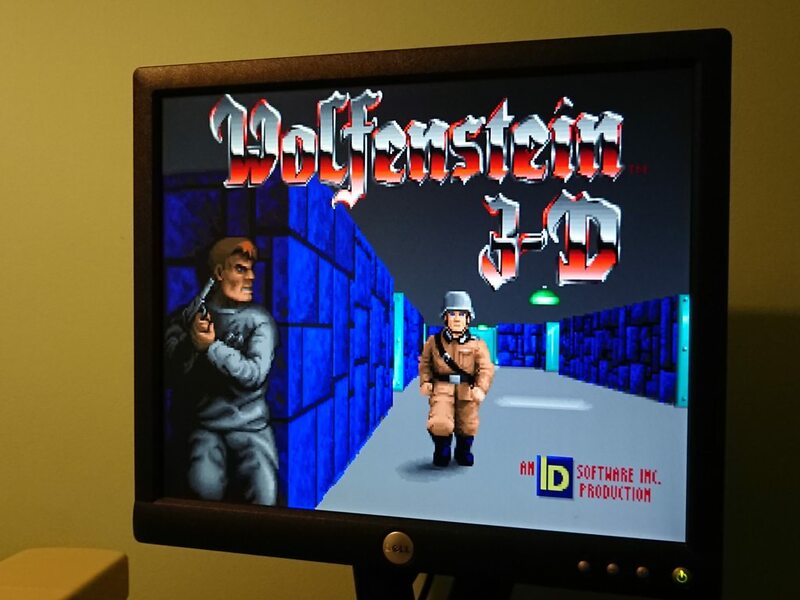 I thought I'd give it a go as I've played Wolfenstein a bit (maybe for a couple of hours in total over the last two years in dosbox on and off etc). The shareware version I had came "pre-installed" with no need to extract anything. It's less than 1mb big so it may well have come like this on a floppy. No setup menu / options, just start.exe to start. It wouldn't detect my Soundbaster 32 / AWE32 for its ablib sound effects, so it played through the PC speaker, which I decided gave a touch of "genesis" to this first game on my list. It had a fairly simply numbered main menu with quick start / read me (which you need to read as its helpful for both controls and gameplay) as well as some lore which sounded very oldschool rpg. It controls with the arrows, with left and right turning rather than strafing. Strafing requires you to hold alt, and fire is ctrl. Quick turn is TAB, which is necessary to use when you get hoards of enemies around you, and my hands had to learn some new positions / muscle memory as alt, ctrl and tab do not really come naturally to my left hand! After about 20 minutes I was able to slide around like a pro; it isn't as unintuitive as it sounds. I was surprised at how "standard" minute-to-minute gameplay was. You have a health meter, ammo counter, even a minimap (although it would have been helpful to have shown the walls on it!). I suppose it's functional and tells you what you need to know just fine, so why change what works well 27 years later! There are health pick ups loot chests with more powerful attacks (automatic fire and a sort of scatter bomb that fires spells in all directions around you); however on easy mode (there is a choice between easy and master only!) I had 99 of everything by the final boss fight. It certainly was too easy, but then I was playing at 60fps and have evolved FPS reflexes, which I wouldn't have had if I was playing this when it came out (also I was 2 years old;)). Shooting dudes in The Catacomb Abyss has the same appeal and satisfaction as shooting in modern games, more so even perhaps as there is less in the way between pressing fire and a dude dying. No reloading, no sprint to jog animation, no ADS. The core shooting dudes gameplay was genuinely fun, with no nostalgia required. Level design is are an absolute maze. I've read about mazey early 3D games but, bloody hell, it's hard going when you're used to intuitive levels that tell you where to go (or encourage open ended exploration) without words. Worst of all was Ogre Mines / Trolls Something, which was designed specifically to be like a maze in an already mazey game engine. It's even worse when you're forces down zig-zagging corridors 1 block wide, with the narrow FOV it doesn't feel like a 3D game anymore. You can see the transition from top down rpgs and crpg dungeon crawlers (I thinnk their called) in this game, there is a status window saying what you're currently doing (turning, retreating, magic), and each location has a name. The names are great and add some personality to the game.. assuming they're being ironic! Names like The Field of Sighs, The Garden of Tears, Chamber of Many Bones" . I'm interested to see the transition from this type of gameplay to modern gameplay. Find the exit keys and then exit, to "the exit is fairly obvious but getting their alive is the hard part", to "there isn't really an exit as such, the story / level will progress when something natural happens; just kill the dudes and see..." over the years. I completed the shareware game in about 90 minutes. I only died once, on the final level when the boss threw a curveball (douche...). Quicksaving is supported so I only lost about 3 minutes. Each level is "destructible"; some walls (identifiable by a different texture on each level) will collapse when you shoot them and you'll need to collapse walls to complete each level. Unfortunately this means I spammed my spells at the start of each level of find out what texture is destructible. 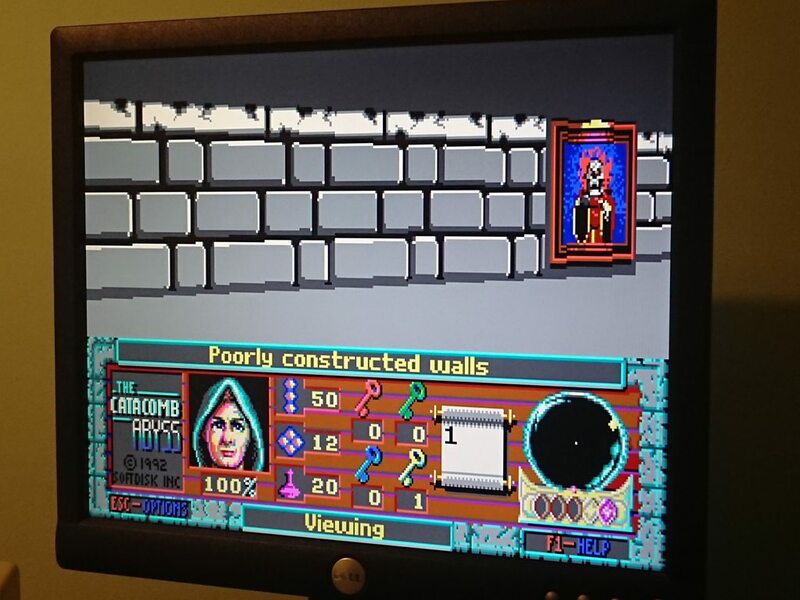 It's EGA graphics and early 3D, so it looks like arse. Just the colours to me are really off putting with bight greens and blues; I understand there are a few palettes to choose from when using EGA, perhaps a less garish one would have been better. Sprites and animations look alright, as expected, they have a few frames for moving and a few for dying, but it was always enough to know where the dudes are they are and what they are doing. I liked the smooth motion of the spells, slow enough to look good in motion and require a bit of skill to hit a moving target, fast enough to not be a pain to work with. I can't really comment about performance; it obviously ran fine on my 720MHz P3! It's gameplay is at least not tied to the framerate. I do like the look of these games when you're running down a straight corridor at 75fps. I might try to make a GIF of it. It only had sound effects, but that could have been a shareware limitation due to memory size. Ablib (i.e. OPL2 I think?) 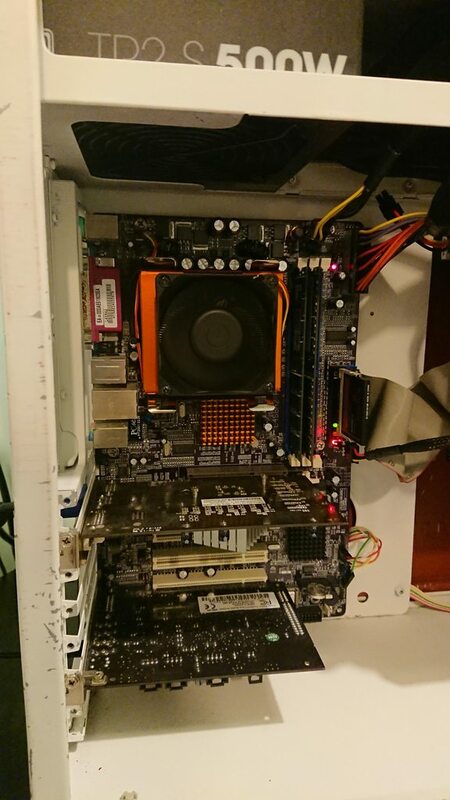 didn't work, so PC speaker it is. Not much to say other than my speaker is pleasantly quite and tonal so it wasn't an absolute pain. I tried out the ablib sound in dosbox; it's not great but nicer than PC Speaker obviously. Anyway this turned out much longer than expected so here are some "screenshots" and a gameplay video of a game you've probably already played. The big one; the logical starting point for early 3D FPS games. It doesn't really need an introduction! I had the registered version on my hard drive from long ago with six episodes; the first three as part of the original release, the last three as a prequel. I didn't bother with episodes 4 to 6! The game came already unpacked, and simply starts with Wolf3d.exe. I would imagine as a id game it would have had a "deice" installer of some kind originally. Sound is auto-detected and found my AWE32 just fine. Volumes are a bit out though; digitised sound is much louder than OPL playback. 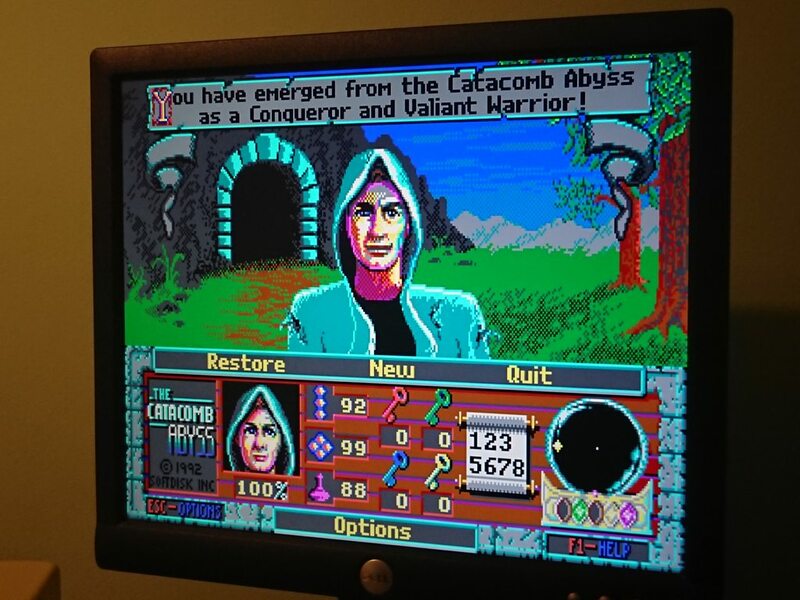 As with The Catacomb Abyss, it plays with the arrow keys. I was used to it now having played C:A previously. It lacks a quick turn button but does have a sprint button, which I rarely used as Right Shift means taking my index finger off the left arrow. I Turning speed is a little slow, but on later levels you'd be dead before you finish turning regardless of turning speed if there are duded behind you! W3D felt like a step back from C:A. No mimimap, no various spell types. The three guns all share the same ammo so there was no reason not to use the chain gun. A lot more of the screen is given over to the 3D "rendering" compared to C:A which meant less space for HUD. However I never felt I wasn't being told enough information. This game feels much more like a FPS than C:A did, without the RPG hangovers in the HUD. W3D, as you might expect, has you hunting for keys to unlock doors but is nice enough to only require one key per level in the first episode. As such, you spend a lot of time navigating the mazey levels, although they are nowhere near as bad as C:A. Rarely, progress on the level will be hindered by needing to activate a hidden wall, but mostly they are reserved for hiding secrets. Whilst the game has a lives system, it is largely useless due to the ability to quicksave and quickload. Why would I die and start the level again, with no guns or ammo, when I can just quick load! Shooting in W3D is enjoyable, especially with the thumpy SMG. Seeing an Officer go down after a second of SMG fire, before he has time to react, is very satisfying. Again, like C:A, without reloading, ADS etc, there is very little getting in the way of your shooty action! I completed the main game in about 2.5 hours. I died about 10 times on the second difficulty level, five of which were against mecha-hitler (douche). 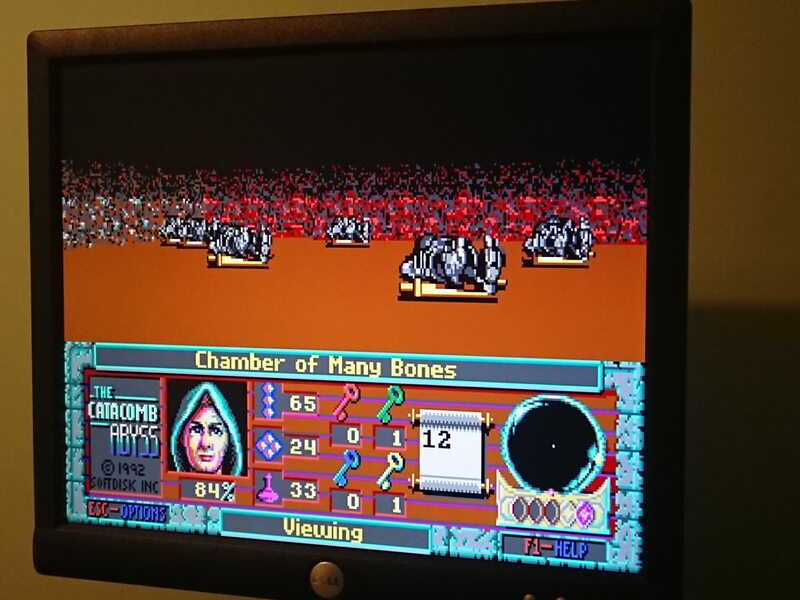 W3D uses 256 colour VGA graphics so it is at least less garish to look at, but the early 3D still is not easy on the eyes. Sprites and animations are much like C:A, quite sparse but get the important information across. As you can see in the screenshots, there is not much opportunity for variety in the graphics of this game which does make it a bit repetitive. As before I can't comment about performance; it ran fine on my 720MHz P3! It's gameplay is at least not tied to the framerate. I do like the look of these games when you're running down a straight corridor at 75fps. I have now made a GIF of it (at 25fps, boo). I used soundblaster music and sounds effects with no digitised sounds. The digitised sounds replaces the sound effects (as they're better quality I assume), however, they were very loud on my soundcard so I didn't bother. The sound effects are basic but good enough to let you know when a guard has spotted you. The music is similarly simple, with some basic but good OPL tunes. It was, but I think I prefer C:A as a "my first FPS". It was more about experiencing the legendary game. Yes, but only because of its fame to see what the fuss is all about. Screenshots and a final boss video. In the Official Hint manual, which I used some of the time, has a quote from Creative Director Tom Hall: "I like how you can look past the columns out at the starry night sky. Maybe it's just me, but I think it looks really sharp. And somehow, it makes you feel a little colder". This is the sort of area where, in my opinion, modern games do work much better, in creating an immersive atmosphere.